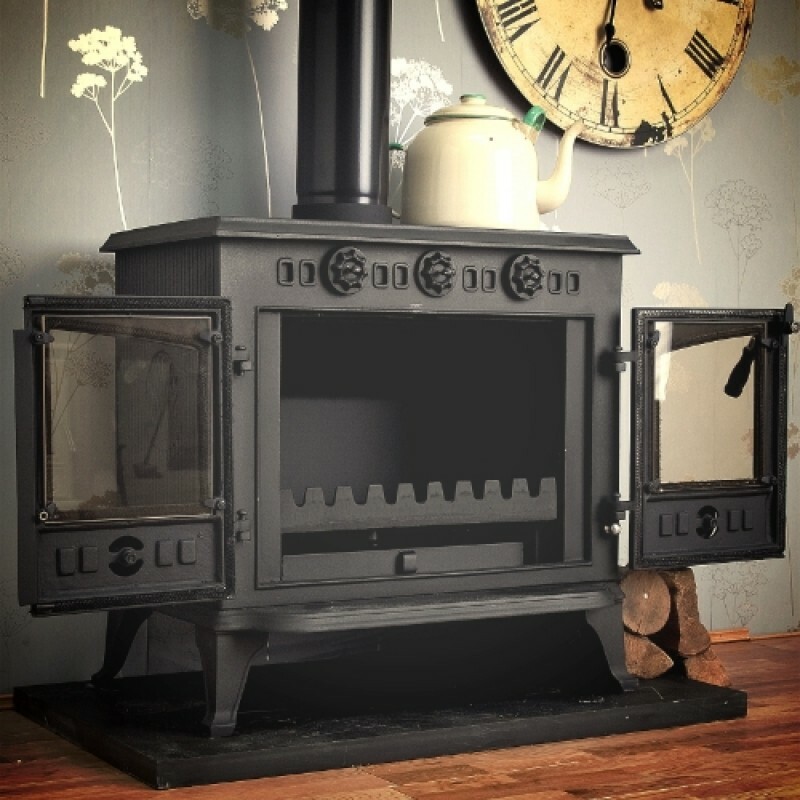 The Winterwarm Boiler is a large, impressive two door stove with a blend of timeless and traditional features. It's elegant casting ensures that the Winterwarm Boiler will be a focal point of any room. Having been a prominent seller in the Coseyfire range for over 5 years, we have found that not only is it delightful to look at, it is easy to maintain and a reliable source of heating your whole home. Another practical aspect of the Winterwarm Boiler is the fact that it can take a sizeable 470mm long log and burn seasoned wood or smokeless coal overnight on the multi-fuel grate included. The steel integral boiler encases the firechamber to allow maximum heat transfer to the water. Smaller but important features include a large ashpan for easy maintenance and an oven glove to protect you when opening the stove when in use. The handle of the stove itself provides great leverage and makes the stove easier to use on a day to day basis. The stove will typically supply around 7-8kW to the water system and around 4-5kW direct to the room. To calculate your heating requirements - An 8kW boiler equates to around 28,000 BTU (1kW = approx 3500 BTU) - Your radiators will be measured in BTU. To calculate your requirements add up all of the BTU's of each radiator in the house. The boiler has 4 outlets at the rear. Heats around 7 to 8 single rads. The Winterwarm has an excellent overnight burn system. Its air-tight door gaskets and manual air flow controls allow you to close the stove right down overnight and wake up to a warm house in the morning. All you need to do is reopen the air controls, add a little coal or wood and watch the fire roar again. The Winterwarm Boiler is hand made using thick Australian cast iron ore and has a smooth, blemish-free surface. Many stove manufacturers, including expensive brands still use re-melted scrap for their castings. The high phosphorous and sulphur content of re-melted scrap leads to subsequent cracking of the stove. 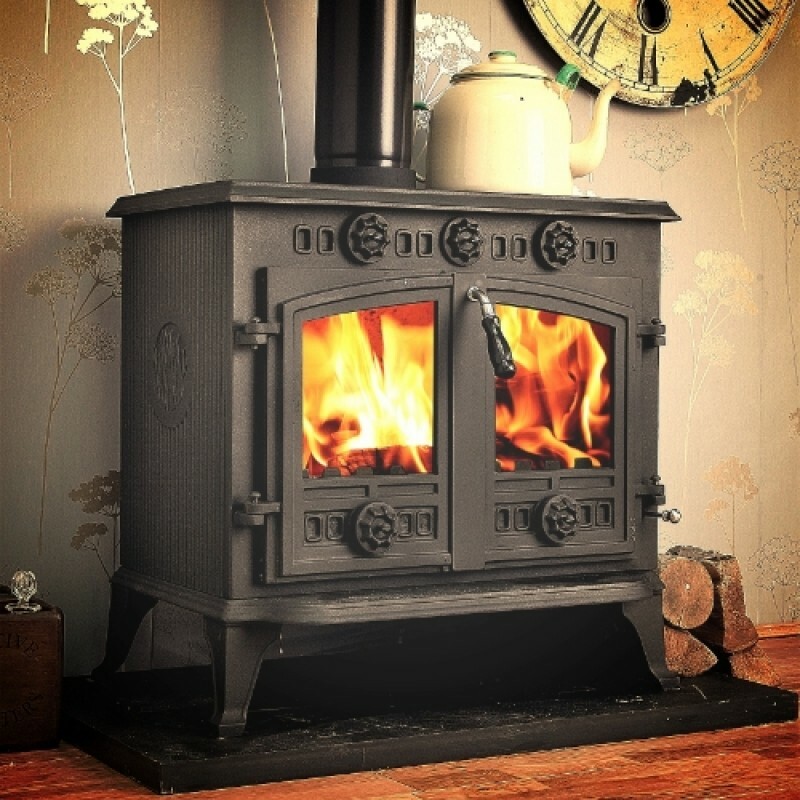 Efficiency 75% efficient "Huge saving on bills"
Please note that this is the price for delivery of Winterwarm Multi-Fuel Woodburning BOILER Stove 12kw only. The final amount might change depending on the contents of your shopping bag when you check out.